The Angel Scrolls began as a study of mysterious communications I was receiving while recording a budgie (budgerigar/parakeet) named Victor. No matter how impossible it seemed, his communications demonstrated a higher intelligence that far exceeded any animal previously known. It led me to thousands of hours of research in an area that was basically untouched by science. It enabled me to make contact with a core group of other guardians who had budgies with a higher than average vocabulary. The act of measurement and observation of what they were saying provided evidence that they all had a connection. Things rapidly evolved as these other budgies began speaking intelligently and communicating their own thoughts as well. The two budgies I was guardian for were Victor and Maylor and they began to demonstrate their own belief systems about God, the universe, the afterlife and even how it all relates to quantum mechanics. The theories and conclusions I provide in this forum did not come easy. For the most part, they are not currently supported by scientific formulas or widely accepted because they exhibit strange and often spooky examples of things that are not part of the physical realm. However, the recordings, in particular, contain hundreds, if not thousands of examples of how the angelic realm can communicate and even enter our reality. Many of you will be able to experience and witness it for yourselves here. If you spend some time listening to the videos, you will see how it seems to break all the rules of natural law. Especially when both Victor and I are speaking intelligently in reverse as well. So no matter how you look at it, it does provide indisputable examples of paranormal events including prophecy. The intensity of it has sent me on an alternate path of discovery that is far more bizarre than I ever imagined. Throughout this journey, I, as well as others, have witnessed the existence of a supreme intelligence, one that I prefer to call "God." More so, I have recently become aware of how it is supported by one of the weirdest, yet highly respected, scientific fields called "Quantum Mechanics." 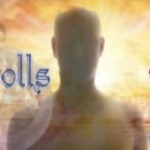 The past and continuing documentation of my experiences in relationship to this research is called "The Angel Scrolls." In short, The Angel Scrolls is this knowledge and information that has been passed on to me in a miraculous way from the consciousness of God. It provides a new way of discovering what God wants us to know and how it relates to the purpose and survival of humanity. Our goal is to get a core group of caring people to join this forum and experience the miracle first hand as we connect to the angels in heaven. In this section I am going to break down a longer video called "70 Lessons" because it seems that the original length of it was just too long and people have trouble following it. It is complex and takes much concentration. So I will try and keep them around 2 minutes long. These are personal answers I received from the angels when I asked certain questions to them. Keep in mind that breaking down these larger files into smaller ones gives me a chance to go over them again and there are some minor changes that were made in this final attempt. For the most part the transcriptions and captions are the same as the longer quantum reversals recently done. My question was something to the effect of why the angels are speaking to us in forward and reverse. Here is the recap to the response. we'll just persist on anyway. We're just happy with this. Seventy lessons we will have in all, as a true submittal. If you have any questions about what he is talking about please ask. This is segment 2 of "70 Lessons"
The questions I asked are:God, How is this possible? I know it is happening but I don't know if I can do this myself. How do I get help? anyone has better. There's a procedure achieved and it wouldn't be better. It merits funding. Right now you're hearing Ryan leading on the mission. We serve with him with our best formulas. While God is working, he'll catch it. Anyway, that's our view. This is the 3rd and final segment of questions to God from the "70 Lessons Video" It is only one of many videos that you will see when they are completed. Dear God, no matter what evidence I provide, very few people believe me. Many people laugh and mock me for what I am doing. How do I know I'm just not imagining this? What can you say to those people who don't even believe parrots are smart enough to use context in their speech? I have also been working on Victor and Maylors recordings for almost twenty years and went through many phases of translations. How do I know when they are right? Most people in universities learn that there is no proof of God and are taught the exact opposite of what I know. Why would they even be interested in something like this? Why do I have so many people saying that they cannot hear what I hear. But then when I have my wife go over what I translate she hears it too. What do I say to those that can't hear what I hear? Yes, I might test the battery here. A joke made can laugh in the face of true art. If you're not really seeing the challenge, (when it goes deep) you may not know that it usually will send you a message. His procedure is awesome. Others connect with universities and have a linkage with us. When you need a policy of truth, he'll ensure that you trust the right version. Lots of these audios may be fuzzy in this talking cloud. For you, this isn't talk, and this is nuts. You have seen and identified the sounds we submit obviously are real. One must admit he's a really professional, seasoned witness. Over 10 years ago, when I came across the forum where Ryan and a group of other people were experiencing what was called "The Indoctrination", I knew that I had finally found what I had been looking for. I had been praying daily for many years to find "the pure truth", and when I came across the forum and started reading, I just knew this was it. I was filled with gratitude and excitement to be learning firsthand what God wanted humanity to know about Him and how to live a spiritual life. Never before had I experienced the kind of love and divine emotion that came from reading the dream transcriptions that Ryan was doing for the people in the group. We were growing spiritually as a group and we consistently experienced prophecy and witnessed as they came to fruition. I am still here with Ryan, and we are still growing spiritually as a couple and as a family. I love him and I believe in him, and I see why God chose him. I've watched in awe as he's transcribed countless recordings from Victor, Maylor, and now Danny. I see his passion and devotion to this incredible mission. I have watched, just as many of you may have watched, as this communication from God and the angels has evolved into what it is today. Now, thanks to Ryan and Danny, God and the angels can speak to us; those who will listen, with clarity and purpose and show us how truly great His love can be.